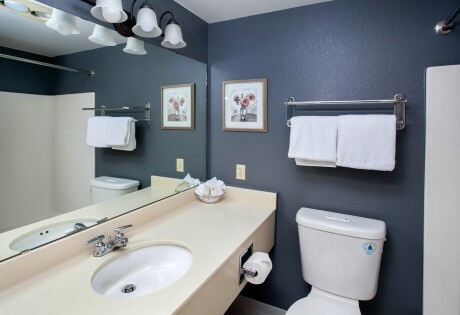 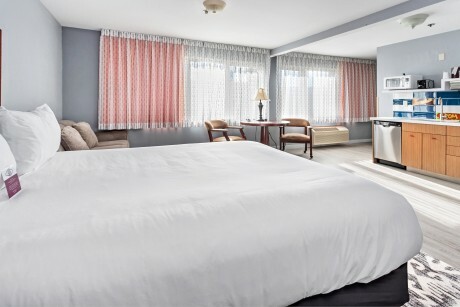 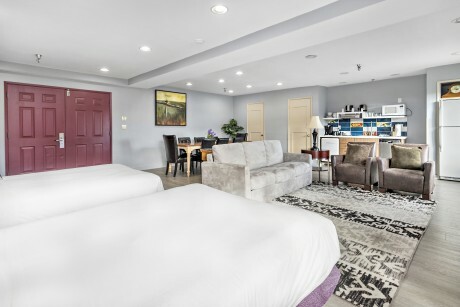 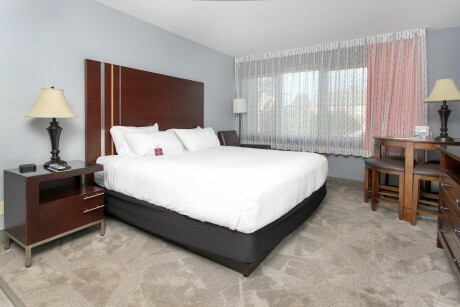 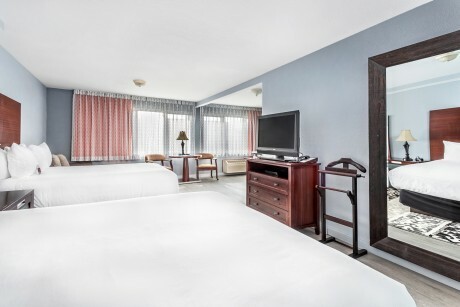 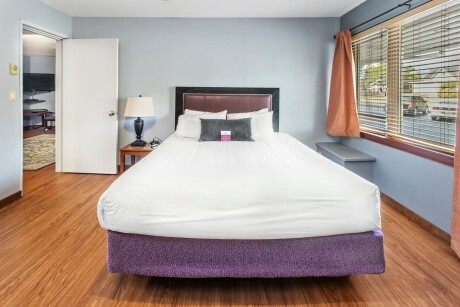 Make yourself at home at the Inn at Seaside. 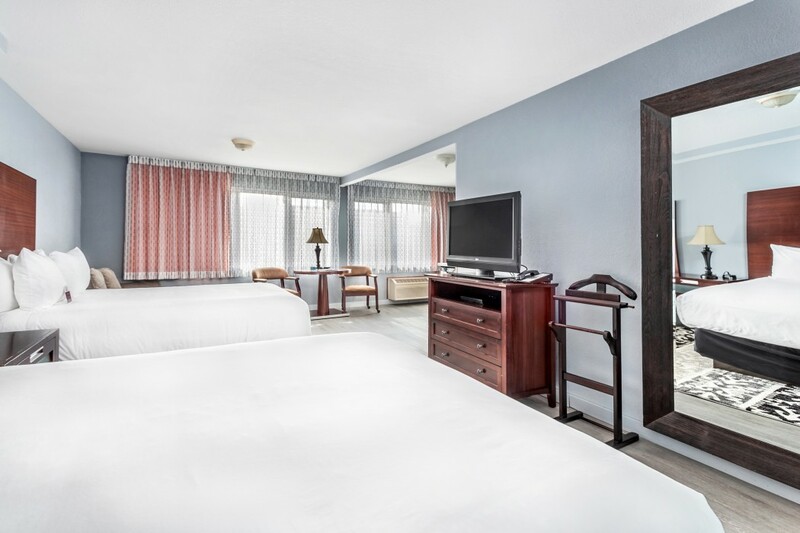 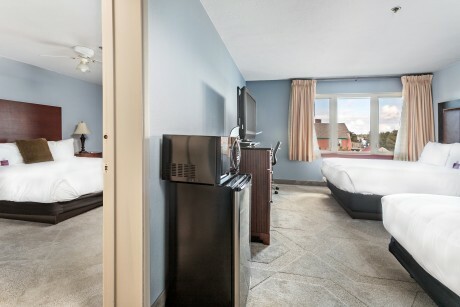 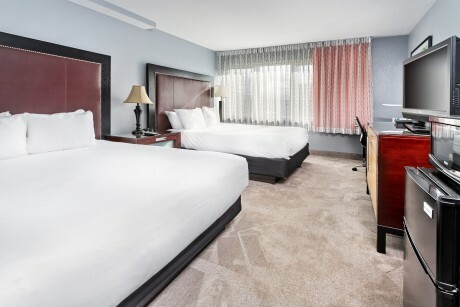 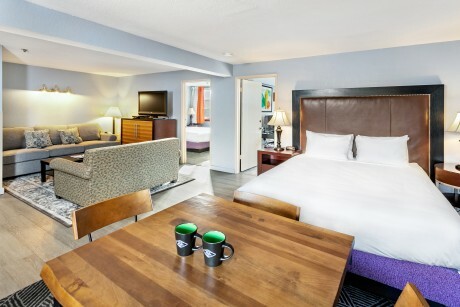 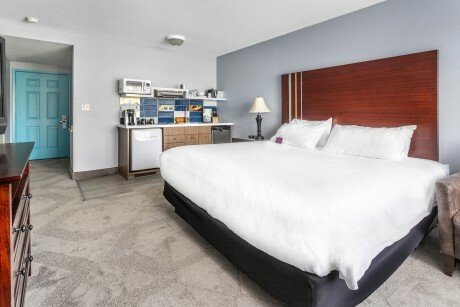 This room includes Two Queen beds, a queen-sized sofa sleeper and kitchenette. 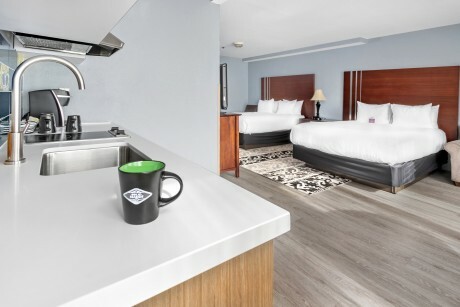 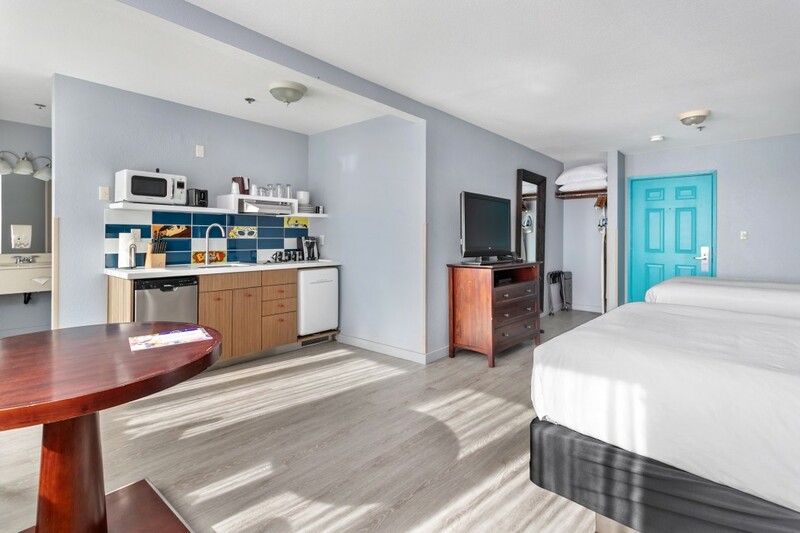 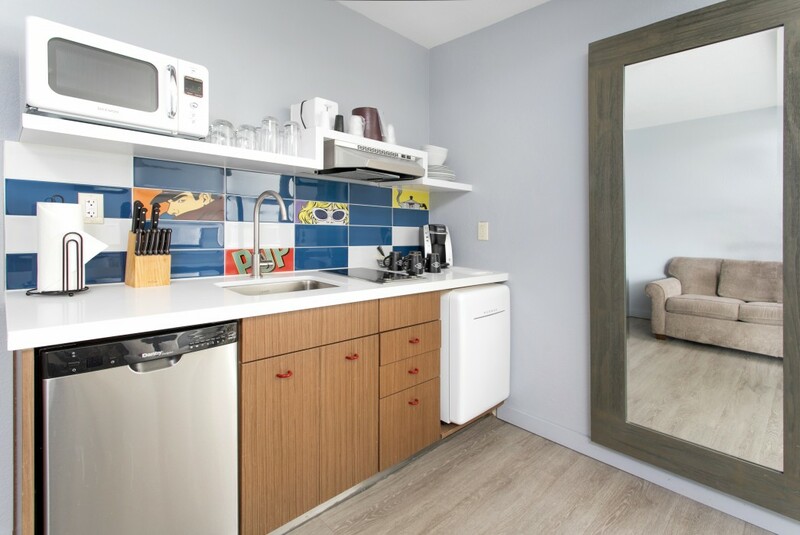 Kitchenette is equipped with dishes, microwave, two-burner stove top, Keurig coffee maker and snack sized refrigerator.